Oh! If you hear this, if will be the most frustrating news for everyone. How many times will India and Sri Lanka will face each other? India and The Lankans have played nine tests, 39 ODIs and three T20s in the past five years. 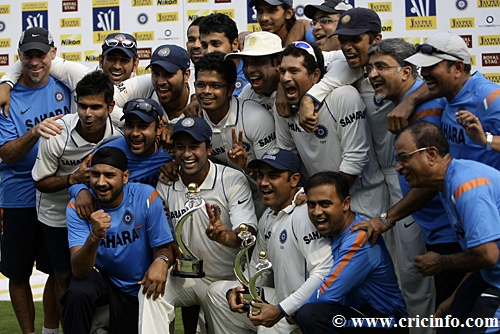 India toured Sri Lanka in 2008 for three Tests and five ODIs, they faced them in the Asia Cup and then went to the island nation to play an ODI series in January-February in the start of 2009. This was followed by a tri-series, the Compaq Cup, also featuring New Zealand, in September.Sri Lanka visited India late last year and played Tests, ODIs and couple of Twenty20s.Then again they had a tri series in Bangladesh in the start of this year. And most of it, now the Sri Lankan Board now has planned a test series and a tri nation ODI series this July- August. 2009, a golden year for India. If it was India beating the Kiwis down under, If it was the IPL in South Africa or If it was Sachin Tendulkar completing his 20 years in crickets, The most of them was India achieved their feat of becoming the No.1 Test Team in 2009. 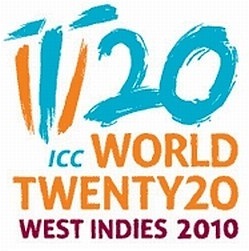 All hoped that they will do it in 2009. But they could not defend their title in England but gave it away to their arch rivals Pakis. It looked like India is the No.1 team in One Day but that also easily ended in 24 hours losing the home series to The Kangaroos. But with the negligence of Test Cricket by BCCI too, India playing only six test matches in a year could achieve this feat of becoming the No.1 team in Test Cricket. It was a 18 month wish that was fulfilled by Dhoni and Co against The Islanders in The CCI or commonly called Braboune stadium. If 2-0 win against the Lankans put the Men in Blue on top of the World, they should rewind the 1-0 win against The Black caps that came down under after 4 decades. Hit the West Indians in the Caribbean islands to win their fifth series in a row. but they cut out a sorry figure in the Champions trophy coming back home with only one win. The home series against The Kangaroos gave them a chance to become The No.1 ODI team but they surrendered to Ponting and Co who returned with bragging right. Most of all these losses is the huge loss in England T20 World Cup to defend their title. They screwed the minnows Bangladesh and Ireland easily but lost the other three big games in a row to come back home with what? Nothing, but losing the title to The Pakis. 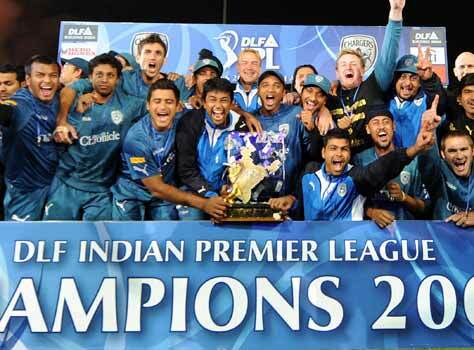 The million dollar tournament IPL was a huge hit this year as it was moved to South Africa after general election problem in the country. All this was squeezed in 365 days so there was really no time for rest for the Men in Blue. But the poor factor is that India go to Play only 6 test matches in this time. In fact, the BCCI has scheduled only 2 test matches for the next 11 months. Becoming the NO.1 team in tests needed a lot of hard work. It was not only the one year but a hard work of a decade. There were many obstacles for The Team but finally got to No.1 in Braboune stadium against Lanka with Sehwag’ superb innings. 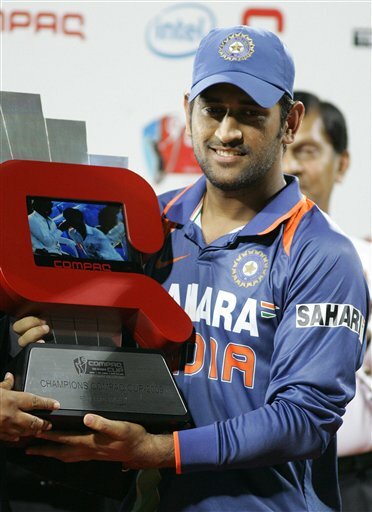 WIth Dhoni becoming Indian captain it looked it they are going to win all the matches. But they didn’t even care to defend their T20 title and came out of Champions Trophy without a fight. With India becoming NO.1 team it is very difficult for them to defend that title. The Men in Blue has to beat The Kangaroos, The Proteas and The Lankans not in Home conditions but away.That journey will start when India tour South Africa in the end of 2010. Another factor, BCCI too has to do a thing- they have to arrange more test matches six tests in a year is not enough. The Men in Blue have to improve in bowling and fielding to win shortened versions. Even if their batsmen score 350+ or even 400 the bowling and fielding department has to improve a lot. Even 414 seemed not enough against the Lankans. Another mantra will be rest players in some series and give chance for youngsters and others to Capitan. Virat Kohli scored a awesome innings.Even Sehwag’s captaincy was very good winning two matches in a row. His words after winning-“I was actually supporting Sri Lanka. My superstition is that whenever I support India, we lose. So I was supporting Sri Lanka.” Sehwag’s prayers worked as India won by 3 runs against SL at Rajkot. and many games to go. It looked like 316 looked tough from the moment go because India’s middle order was weak. Both Sehwag and Tendulkar departed in the 2nd and 4th over. With 23 on the board and 2 wickets was a huge blow for India. Both Sehwag and Sachin scored 2 fours and got out because of the extra bounce of Lakmal. With the duo’s departure, it seemed that the middle order was put under extreme pressure. But Gambhir and Virat Kohli started nudging the ball for singles and took the odd four. They never took any risks what so ever. Virat Kohli welcomed Laith Malinga with four consecutive fours. Virat was in his best form. Gambhir too. Both were taking only singles. I was surprised that Lankan skipper didn’t even bother to stop those singles. He neglected it and left them to take the singles. Both were on 99. First Virat scored his maiden hundred then Gambhir his hundred. With both having centuries, a pacer was introduced where both of them tried to clear the ropes. Virat attemted to clear Long on with the spin of Randiv but failed where Pushpakumara caught a blinder and made him walk out for 107. His brilliant innings came to an end. But Gambhir never stopped, he continued to score runs. When the batting power-play was taken at the 45th over both Gambhir and Kathik started hit fours. Karthik scored a cameo of 19 while Gambhir went on to score is 150 in the last ball and leading India to a fanstastic win. With India winning 2–1, it was a must win match for The Islanders so they came in with many changes and high spirit. It was a different start as Dilshan and Tharanga kept quiet until the 6th over. In the 9th over, Dilshan pulled Nehra’s bouncer which was brilliantly caught by Virat Kohli. As Dilshan departed for only 9, Ishant Sharma was introduced. The flow of boundaries started when Jayasuriya and Tharanga scored 20 runs of Ishant’s 1st over. Jayasuriya was in fine knock but it ended when Zaheer Khan struck him for 15 of 15 balls. The Captain himself came in to bat today at No.4. Tharanga and Sanga were scoring runs in a brisk pace not allowing the bowlers to settle. It was a fine batting from both as Tharanga scored 100 and Sangakkara with a 50. But the 126 run parnership ended when The Lankan Skipper tried to attempt a cheeky shot but deceived but the spin of Harbhajan and stumped by Karthik for 60 runs. The Experience Mahela came in as Kumar departed. Runs were coming very good in both ends. As they put on a 36 run partnership, The batting powerplay was chosen and Zaheer Khan was introduced. But in his first ball he struck the Tharanga’s timber and made him to depart for 118. This time as Tharanga departed there was a surprise in wait for the Indians when Thisara Perera was sent in. No one thought he would play so well. But he blistered fours and six as he went on to score 31 of 14 and was caught out bowled by Nehra with a beautiflu catch in sqaure leg by Jadeja. Jayawardane too was run out with a athletic performance by Nehra for a direct hit. Then with interruptions of light failure match started and Lanka managed to score 316 for the loss of 6 wickets. The most shameful part for Indian cricket as the lights went of in the middle. This happened in IPL too. Its real shame which wasted 15–20 minutes.